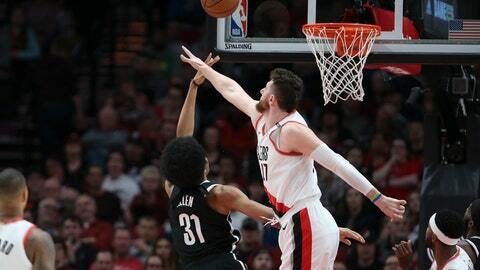 “Never, never give up, my man Jusuf Nurkic…. I know it’s hard … but you’ll come back to play … I’ll wait for you !! !” offered Danilo Gallinari of the Los Angeles Clippers. Nets: Brooklyn had its two-game winning streak snapped and has one game left on its seven-game road trip, at Philadelphia on Thursday. … The Nets were just 31 off 44 on free throws.